Top Ten Tuesday is a meme hosted by The Broke and the Bookish. I'm excited to participate; after all, I make lists FOR EVERYTHING! This week's topic focuses on the books I just HAD to buy, yet they are gathering dust on my bookshelf. 1. Prophecy of the Sisters by Michelle Zink- I love the premise of this book and even went to Zink's book signing this past spring. I just haven't had a chance to pick this one up. 2. The Hollow by Jessica Verday- I went to Verday's book signing as well and many of my students enjoy this series, but I have yet to open this book up. 3. Anxious Hearts by Tucker Shaw- At first I loved the idea behind this book since it's a retelling of Longfellow's poem "Evangeline," but then I read a bunch of negative reviews and have been hesitant to pick it up. Maybe this summer? 4. I Was Jane Austen's Best Friend by Cora Harrison- I was desperate to get my hands on this book and once I did, I forgot about it. 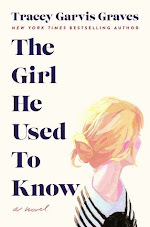 I plan on reading it this June for the "Jane in June" challenge. 5. The Red Umbrella by Christina Diaz Gonzalez- I pre-ordered this book and still haven't had the chance to read it, which is a shame, because I have read a lot of great reviews. Maybe I will bring this one on spring break with me! 6. The Scorch Trials by James Dashner- I pre-ordered this book as well, because I was such a crazy fan of Maze Runner. My husband is reading this one now and loves it. I am going to try to convince him to write a review for it. 7. The Lost Saint by Bree Despain- I pre-ordered this novel and I was going to read it last week, but then other books for review got in its place. I guess that is the downfall of accepting books for review. 8. Nevermore by Kelly Creagh- I love Poe so I immediately downloaded this one to my Nook, but it has been sitting there for sometime. 9. 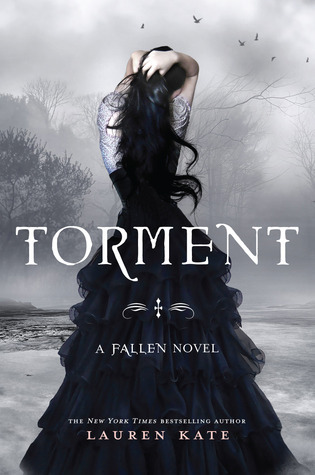 Torment by Lauren Kate- I thought Fallen was entertaining, but it didn't blow my mind. Perhaps that is why I have been putting this one off. 10. Succubus Blues by Richelle Mead- When The Vampire Academy series came to an end, I downloaded this book to my Nook with the hopes that it would be just as good as VA. I definitely think I will be bringing this one on spring break. It looks like a good read for the plane. So what books were you dying to read and couldn't wait to get your hands on and then, unfortunately, they sat on your bookshelf or your Nook unopened? Have you read any of these books that I listed? Should I move them up my TBR list? Let me know what you think! The Red Umbrella was amazing! I would definitely read it!! Ha Ha you're not the only one having books waiting, we all do! Well, as for me, I can't wait to read The Lost Saint and try The Hollow! I have Misguided Angel in my TBR pile, which I really want to read but have so many books ro read before! The Hollow and Nevermore are on my shelf too! It seems I need to take time to read The Red Umbrella! I hopefully will bring it on spring break! If you only read one series for the rest of your life, MAKE GEORGINA KINCAID THAT SERIES! For real. The Succubus Books have horrendous covers, no lie. But I am so emotionally attached to that series. Maybe it's just Mead's genius writing, but she makes love stories SO beautiful. Also, Nevermore. Because I read that entire book the first day I bought it and then I met Kelly Creagh and gushed to her about my love for her book and she was totally awesome. And she lives in the same area is me. And no, I don't stalk her, I promise. PLEASE READ THIS BOOK! I must say I had the same thoughts about Fallen but think that Torment was SO much better! About Falling Under, I really don't recommend it for your classroom shelf! I was kinda shocked at some of it, I actually examined the cover to make sure it was in fact YA! I know kids talk like that and everything, but I just wouldn't feel comfortable lending it to my teen cousin at all. I had the exact same problem with Torment. I liked (but wasn't completely fascinated by) Fallen, so it took me quite a while to get round to reading Torment! It was good though. Completely different setting to Fallen! I hope you enjoy it when you get round to reading it! Prophecy of the Sisters is totally top of my list too. I was excited when that book came out, and yet I still haven't read it. It's sitting on my shelf! Also, Wondrous Strange and Wicked Lovely. I've had those two for ages! I loved The Prophecy of the Sisters, I recommend you read that one. Nevermore was pretty good. Hope you enjoy when you get around to it! Of the books on your list, I loved Nevermore and really liked The Lost Saint (even more than The Dark Divine). Great List! I haven't read on that list but I have tons of books in my TBR pile that I just had to get but... you know how that goes. Trilby, by George du Maurier. L.M. Montgomery, my favorite author, recommended it in her journal. I love George's granddaughter Daphne du Maurier (which proves nothing, yet feels like something). I heard somewhere that Phantom of the Opera was inspired by it and I'm hopelessly obsessed with the Phantom. I was horribly disappointed when the library didn't have it anywhere in the system, and thrilled to find a first edition at a used bookstore for only $15. 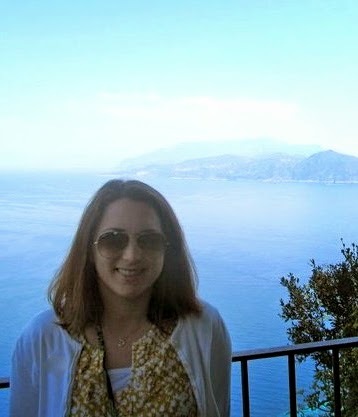 I was looking at I Was JAs BF the other day...Yay for Jane in June!!! Can't wait to see your review!